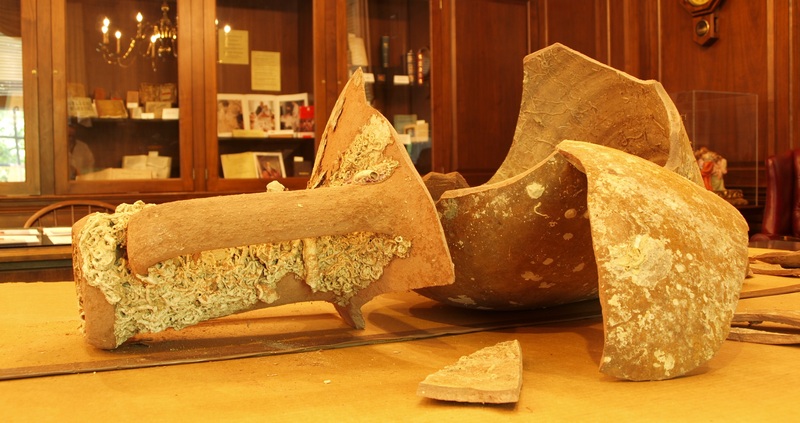 This entry was posted in News Features and tagged amphora, reading room, special collections on January 10, 2019 by Harold Henkel. On Friday, November 16, the Library Book Club will kickoff it’s 12th reading season with The Warden, Anthony Trollope’s tale of a kindly cathedral minister of music who suddenly finds himself the object of scandal when a fiery secular reformer decides that he is improperly benefiting from a Church endowment. 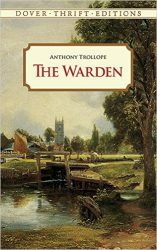 At only 98 pages The Warden is Trollope’s shortest novel and the best introduction to this great writer’s work. First published in 1855, many of the issues raised in the novel about Church governance are still relevant today. The discussion will take place at 12:00 in the Library Conference Room. Refreshments will be served. Dr. Pete Fraser will lead our discussion. The Library collection has copies The Warden in print and ebook formats. This entry was posted in News Features and tagged Book Club, Trollope, Warden on November 15, 2018 by Harold Henkel. IEEE (Institute of Electrical and Electronics Engineers) is the world’s largest technical professional society. It is designed to serve professionals involved in all aspects of electrical, electronic, and computing fields. The IEEE Computer Society Digital Library (CSDL) covers all areas of computing in new and emerging technologies as well as seminal papers and best practices. The CSDL provides online access to 33 journals and transactions and more than 9,000 conference publications. Along with ACM Digital Library, the CSDL is a core resource for study and research in computer science, computer engineering, cyber security, and digital forensics. To begin searching CSDL, click here. This entry was posted in Deeper into Databases, News Features and tagged Computer Society Digital Library, CSDL, IEEE on August 9, 2018 by Harold Henkel. Regent students and faculty now have access to the American Antiquarian Society (AAS) Historical Periodicals Collection. 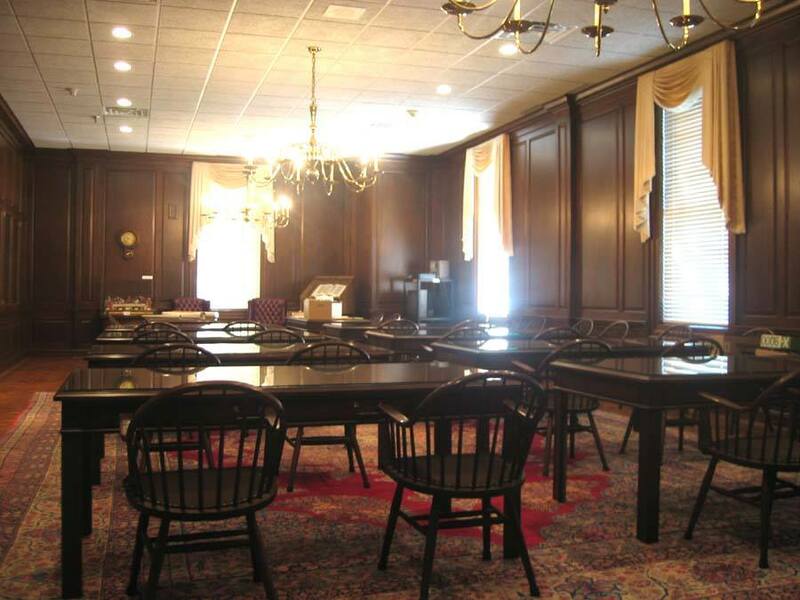 Founded in 1812, the AAS is the oldest historical society in the United States and one of the most important libraries documenting the life of the American people from the colonial era through the first years of the 20th century. The Historical Periodicals Collection provides digital access to the most comprehensive collection of American periodicals published between 1684 and 1912. For this project, the AAS partnered with EBSCO to place more than 6,500 original documents onto the EBSCOhost platform to provide maximum functionality for researchers. Subjects covered in the collection reach into every facet of American life, including science, literature, medicine, agriculture, women’s fashion, family life, and religion. This archive is an indispensable source for any research into the history and culture of the United States. To begin using the Historical Periodicals Collection, click here. 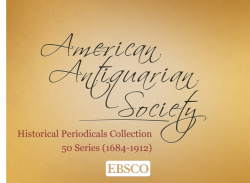 This entry was posted in Deeper into Databases, News Features and tagged AAS, American Antiquarian Society, archives, Historical Periodicals Collection on August 1, 2018 by Harold Henkel. Editor’s note: Followers of news about libraries know that, from time to time, historical treasures are discovered in the world’s great libraries, such as a medicinal recipe by Hippocrates uncovered last year at St. Catherine’s Monastery, Sinai. One of the treasures in Regent Library’s Special Collections has just such a story. The following article by Library Archivist Don Gantz was originally published in the February 2006 issue of Library Link. The article, written shortly after the manuscript’s discovery, is cautious about its authenticity. The letter has since been authenticated by Lee Shepard, retired Director of Manuscripts and Archives at the Virginia Historical Society. 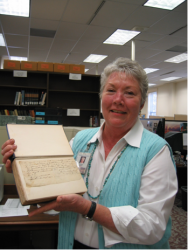 Kathy Watson shows the letter fastened into the book she was cataloging. Thanks to the alertness of Kathy Watson, cataloging assistant in the University Library, we have found what appears to be an 1813 arrest order signed by Major General Andrew Jackson. Jackson is famous for defeating the Creek Indians and the British at New Orleans during the War of 1812 and later for becoming the seventh president of the United States. Kathy was cataloging books acquired from the William Tyndale College library when she found this document fastened between the blank fly leaves of Augustus Buell’s 1904 History of Andrew Jackson. This brief hand-written document orders the arrest of a Sergeant Baldrige and his detention by a special guard in the fort. The document seems to have evidence of an official seal which secured it after it was folded several times. 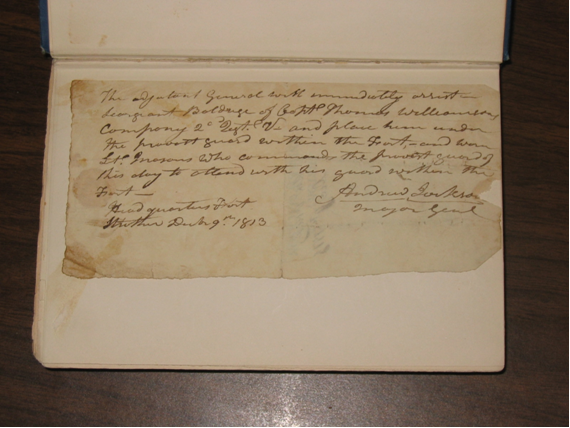 It had “Gen’l Order, Dec 9, 1813” written on the outside after the folds, and the outside was soiled from handling. 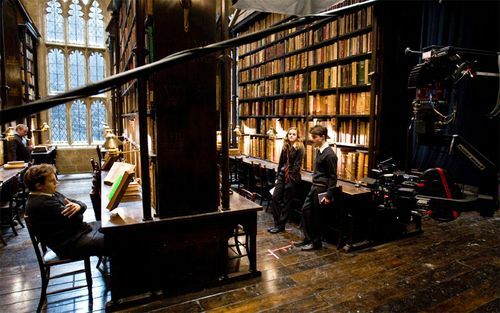 It’s placement in the book likely served to preserve it. The adjutant general will immediately arrest Sergeant Baldrige of Capt. Thomas Williamson’s, Company 2 Regt. V- and place him under the provost guard within the Fort,- and warn Lt. Masons who commands the provost guard of this day to attend with his guard within the Fort. The date of the document, December 9, 1813, and the location, Fort Strother, Alabama suggest it is not a routine document reflecting a routine discipline problem. At this time Jackson was commander of the Tennessee militia and the Tennessee volunteers. Both groups had already attempted defection but had been dissuaded by Jackson’s heavy-handed intervention. The volunteers, however, were determined to leave on the next day, December 10, 1813, when their one-year enlistment expired. Jackson was equally determined that they would stay until March 10 because they had been given three months at home during that period and he was demanding twelve months of actual service. There were military lawyers in the camp telling the volunteers they had the right to leave. Given Jackson’s iron will, a confrontation was inevitable. On December 9 (the date of the arrest order), the volunteers’ intentions to leave became clear. But before they made their move, Jackson made his. He ordered the loyal militia to line up above the road to Tennessee and do whatever was necessary to prevent the volunteers’ departure. He ordered the mutinous volunteers to be brought out to parade on the west side of the fort. Jackson then ordered the loyal artillery gunners to aim their two fieldpieces on the volunteers. He mounted his horse, rode up and down the ranks, and exhorted them not to desert. Finally, to force a decisive response, Jackson told the artillery gunners to light their matches, one small step from firing. Jackson was also in the line of fire. He said, and demonstrated, if they chose to desert, it would be over his dead body.The volunteers decided they would stay until the expected reinforcements arrived. Jackson accepted their decision and the mass mutiny was prevented. December 9, 1813 was an unforgettable day in the military career of Andrew Jackson. It was also the beginning of a series of serious setbacks. Three days later, December 12th, 1,500 reinforcements arrived and Jackson was obliged to keep his word and let the Tennessee volunteers return home. When they had just departed he learned that all the reinforcements’ terms of service would expire within a few weeks. He was eventually left with too few men to defend the fort, which was situated deep in enemy territory, let alone finish his campaign against the formidable Creek Indians. This period of Jackson’s military career reads like a suspense thriller, and its events leave us itching to learn more about Sergeant Baldrige and why he was arrested on that fateful day, December 9, 1813. Buell, Augustus C. History of Andrew Jackson, Pioneer, Patriot, Soldier, Politician, President. New York: Charles Scribner’s Sons, 1904. James, Marquis. Andrew Jackson, the Border Captain. Indianapolis: The Bobbs-Merrill Company, 1933. Remini, Robert V. Andrew Jackson and the Course of American Empire, 1767-1821. New York: Harper & Row, 1977. This entry was posted in News Features and tagged Andrew Jackson, archives, Kathy Watson, letter, manuscript, special collections on July 14, 2018 by Harold Henkel.